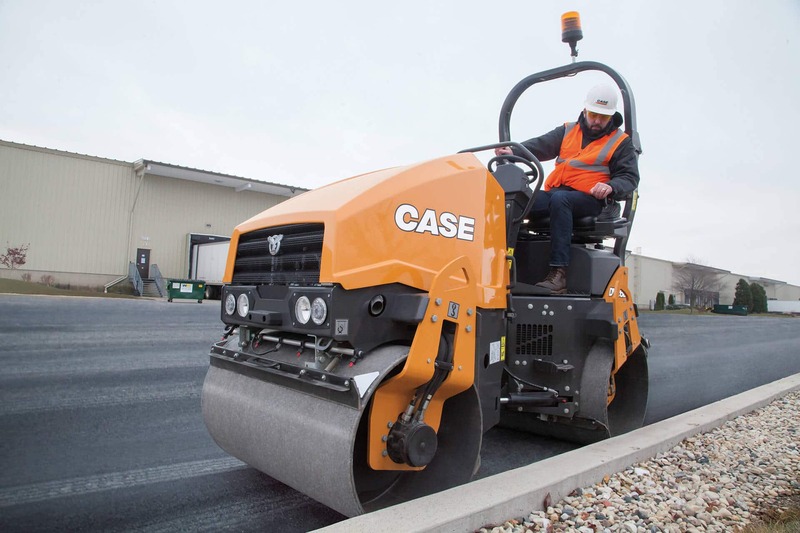 The new DV26D vibratory roller from CASE is easy to transport and is built for applications large and small, from commercial parking lots to driveways and walking paths. Designed with a high curb clearance, no overhangs and a narrow drum width of 37 inches, these compact DV Series rollers are ideal for walkways, residential driveways, bike paths, tennis courts, small parking lots and other small- to mid-size compaction applications. The drums can be offset to further improve accessibility, and to improve performance during turns. Visibility is improved with excellent sight lines and an adjustable work station that allows the operator to get the best vantage point down to the drums. The DV Series combines a compact size, and excellent maneuverability and visibility, with many of the same features found in larger compaction machines. A 33.5 HP Tier 4 Final engine delivers high centrifugal forces and frequencies at lower RPMs, making the machine more fuel efficient, while selectable dual frequencies (3,480/3,960 VPM) further improve productivity and allows operators to dial the machine in to meet the compaction needs of the job. Like all CASE machines, the new rollers are designed for groundline serviceability. All fluid ports, drains and service checkpoints are grouped on one side of the machine for simplified maintenance. 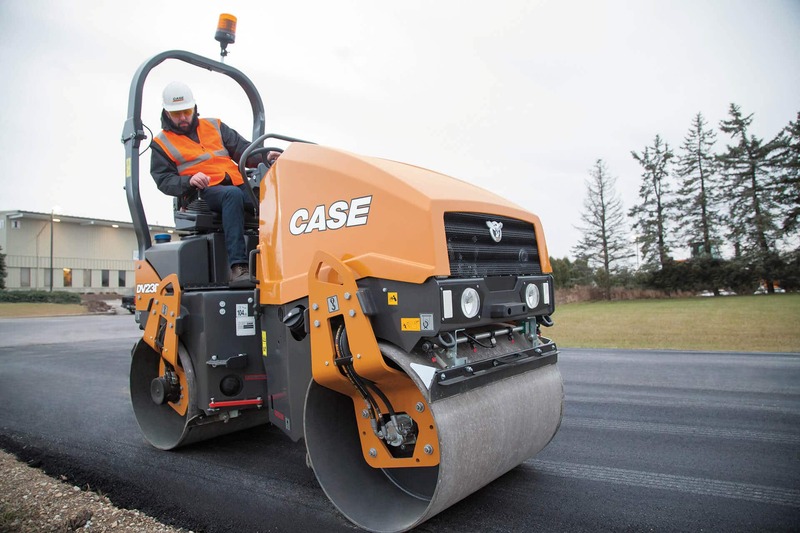 For more information on the entire lineup of CASE asphalt and soil compactors, visit CaseCE.com. Experience the difference CASE Double Drum Rollers can make for you and your business. Sign up for a demo with your local dealer today.